I thought it would be fun to share with you my Homemade Whitening Toothpaste Recipe, This is a quick and easy recipe you can whip up once or twice a week to use to help keep your teeth white at a fraction of the cost of traditional whitening supplies. Combine all the ingredients in a small glass container and use to brush your teeth. You can also store this in an airtight container for a few days but I typically just use it at night and the next morning, then toss it out since it’s so easy to make! 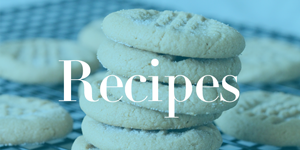 Do you have a favorite Do It Yourself Recipe? Leave a comment and let me know!